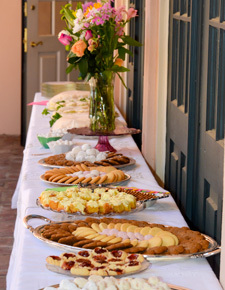 Enjoy delicacies of the era during the Ladies' Tea, Saturday, May 4th from 2:00 - 3:00 p.m. at The Jeffersonian Institute. This event is open to the public with a $5 admission fee. Registered re-enactors are admitted at no additional charge. Period attire is strongly suggested though not required.